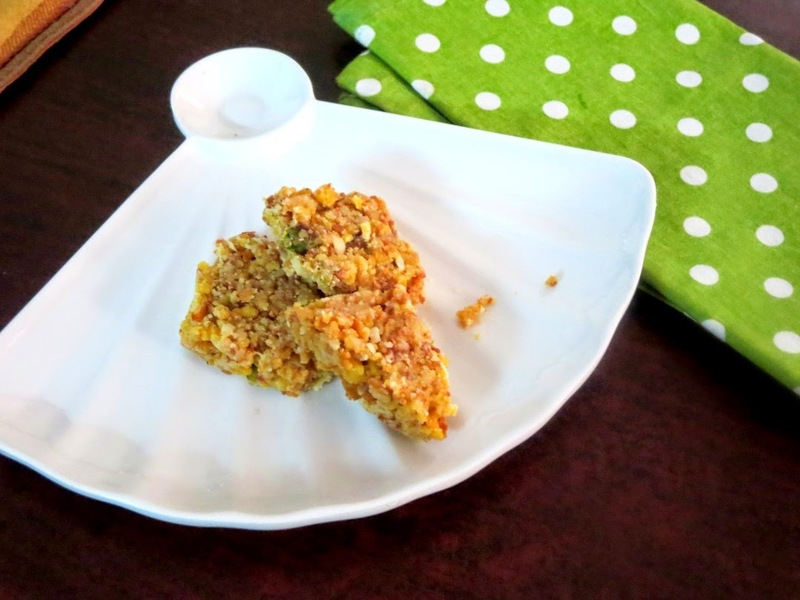 For the Indian Cooking Challenge this month, I decided to select Mohanthal, a Gujarati Special Sweet. 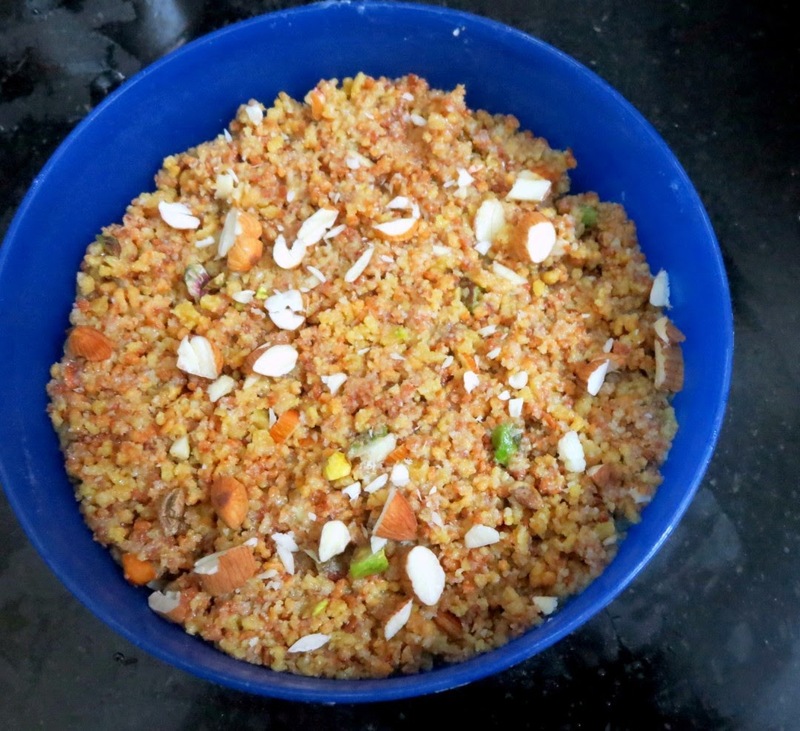 I remember reading about this recipe in Meenakshi Ammal's Cook and See. However the measurement was for huge amount and I wasn't really up to scaling it down. With the Mega Marathon going on and me writing each day, I knew even cooking it would be a tough task. So I searched the net and landed up in Nisha Madhulika's Recipe. It sounded very much like our Mysore Pak and trust just as hard it is. Vaishali had done it ahead and I asked for tips. However even after all her tips, I ended up with crumbly mohanthal. With the amount of sweets I made this week, I wasn't up for making another batch. I was not able to find unsweetened Khoya nor was in a mood to make it home. Have a greased plate ready. Sieve the flour in a bowl and mix with ghee and rub well with hands. Slowly add the milk and keep it covered for 20 mins. Heat a heavy bottom pan. 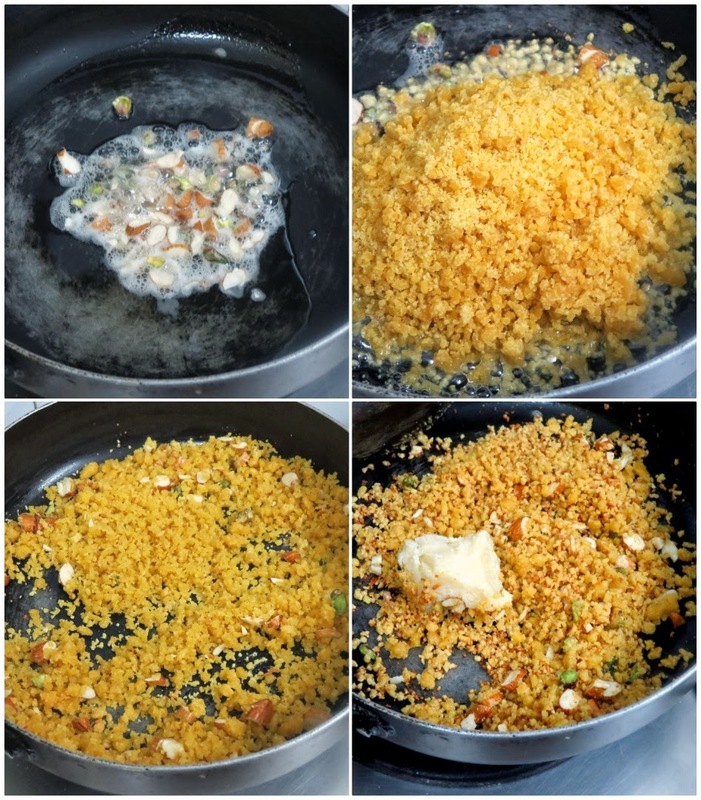 Add the remaining ghee, nuts, flour and mawa. Keep stirring till you get a new aroma from the flour. Now add the mawa and mix well. After roasting the besan, make the syrup. In a pan, take 50 gms of water and sugar. Make one thread syrup. Remove and keep it aside. Add the syrup once it cools down and mix together. Pour this on the greased plate. 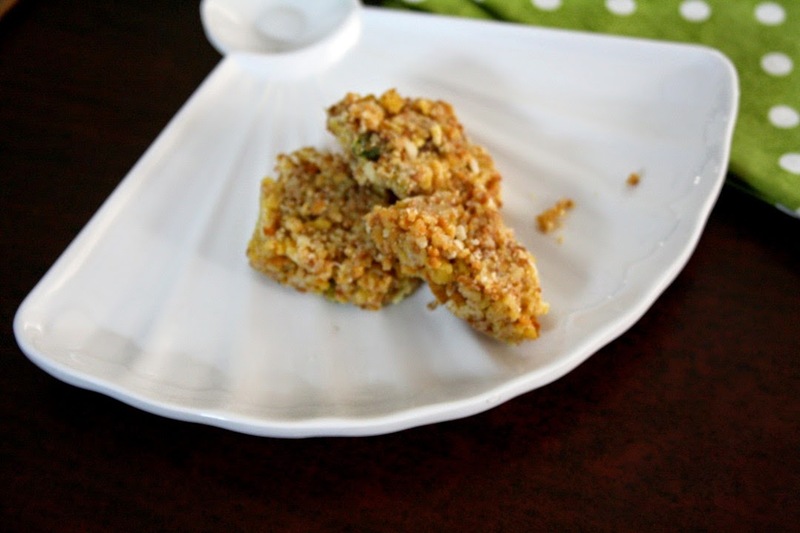 Sprinkle chopped nuts over it and cut into small serving pieces. 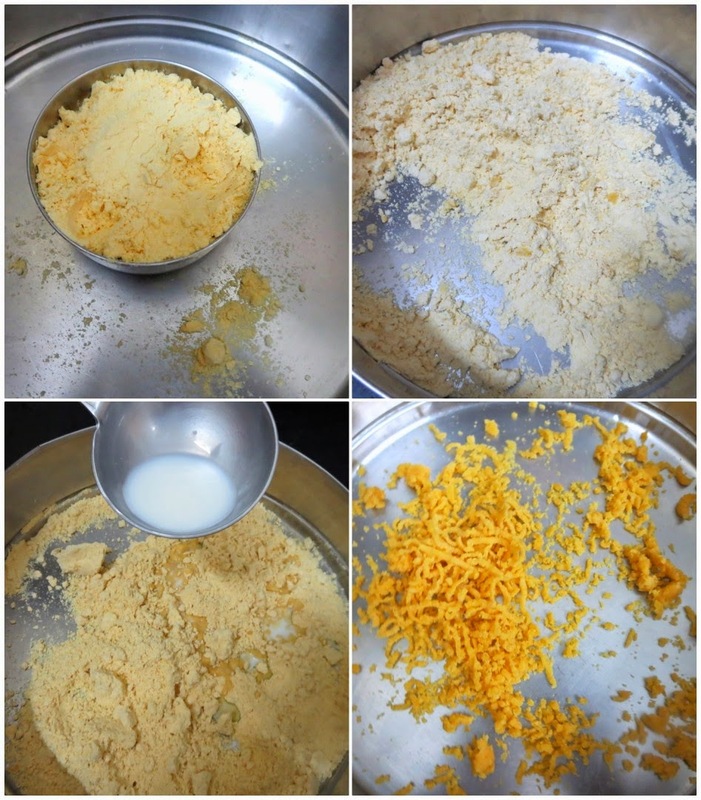 The suggested gram flour or besan for making mohanthal is the coarse powder and not the fine powder. Store this in an air tight container or store in fridge, it is supposed to stay good for 15 - 20 days. Vaishali suggested that after the ghee into the flour, milk, run it through sieve. And also that the sugar syrup to be added to the roasted flour after both cools down. Somehow mine also ended up crumbly and I knew that the moment the flour got roasted few moments more than required. I didn't have time to make this again. Will be making it again shortly and replace the pictures.